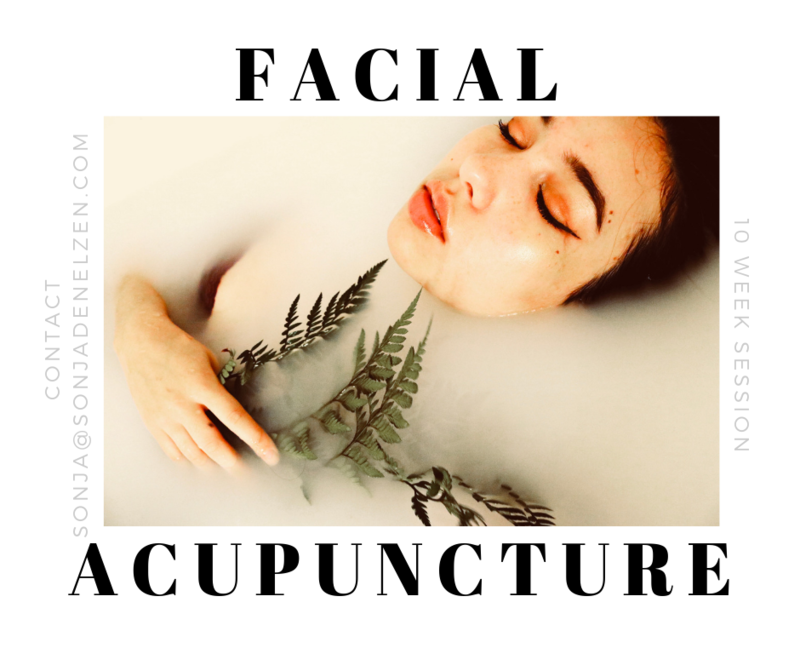 Sonja is a R.Ac (registered acupuncturist) who offers Traditional Chinese Medicine style acupuncture, facial rejuvenation acupuncture, zen shiatsu, tuina and cupping in Toronto and Gravenhurst, Muskoka. Traditional Chinese Medicine Acupuncture helps people with acute, chronic, emotional and physical disharmony move towards harmony and vitality. Traditional Chinese Medicine is a powerful theoretical, diagnostic and treatment systems has been refined over 2,500 years in the experience of understanding life from a holistic perspective, maintaining health, preventing diseases, treating root causes of illnesses and strengthening the relationship between the natural elements and human life. Some healing modalities of Traditional Chinese Medicine in modern practices include herbal medicine, acupuncture, cupping, moxibustion, gua-sha (skin scraping) technique, qi-gong exercise and food as medicine therapy. At the beginning of each treatment, a Registered Acupuncturist will observe your tongue (coating, colour, shape) and take your pules on both wrists. By doing so, they are able to gain a good understanding of your general health as well as the energetic health of each vital organ (heart, liver, kidneys, spleen and lungs). You will also be asked questions about your medical history, digestion, sleep pattern, emotional quality: stress/anxiety level, urination, bowel movement, menstrual pattern, etc. Your current health concerns will also be discussed and you are welcome to ask any questions you may have. After the discussion you will be offered an acupuncture treatment of 20 – 50 min depending on what is suitable for you, to address the conditions that were outlined. During a treatment, you may feel a small prick upon needle insertions but the sensation should subside within seconds. Most people say that they feel peaceful, relaxed or calm during and after each treatment. This is a good indication that healing has occurred within the body. Your Registered Acupuncturist may add any of the following services to your acupuncture appointment if they deem it helpful. They will always confirm the treatment plan with you prior to the start of your treatment. Cupping is an ancient form of therapy that creates suction on the skin with either glass, bamboo or plastic cups. It stimulates Qi (energy) and blood flow in the body to reduce pain, relax muscles and tissues and promote healing of traumatic injuries. It is also known to detox the body by drawing up the old, non-circulating, stagnated blood to the surface. Otherwise, the stagnation will create pain, stiffness and tension in the body. Many people describe cupping therapy like a deep tissue massage and feel more relaxed afterwards. Ear Acupuncture has proven to be an efficient method of treating a wide variety of conditions, such as headache/migraine, allergies, pain disorders, addictions (smoking, drug & alcohol), fever, digestive disorders, hypertension/hypotension, anxiety, weight loss, back pain, men and women’s health, etc; When you look closely, you will see the map on the ear is in the form of an inverted fetus. It includes all the details of the anatomical, physiological, and emotional body represented. Moxibustion is a traditional Chinese Medicine therapy. It warms the body and promotes smooth flow of Qi/energy and blood in the body. Moxa cones and sticks are made from mugwort, an ancient herb known for its stimulating and warm properties. Some commonly treated problems are weak immunity, poor digestion, chronic and acute pain condition, cold hands & feet, obstructed blood circulation, cold sensations in the body and breech presentation of fetus. Gua Sha is an ancient detoxification technique in which the skin is scraped to produce light bruising. It is believed that this technique releases toxic, unhealthy substances that stagnated underneath the skin and between muscles causing pain, tension, tightness and discomforts. The words “Gua” means scrapings and “Sha” means the stagnated blood blocking proper flow of meridians. Chinese Medicine practitioners believe that “Whenever there is a blockage, there is pain”. Through scraping, we can effectively remove the “Sha” to achieve detoxifying effects. Patients usually feel lighter, more flexible and definitely less pain after the treatment. Facial acupuncture, a safer alternative to surgery or Botox. An extension of traditional acupuncture. It can naturally help make the skin look younger, smoother, and all-around healthier. And unlike injection procedures, facial acupuncture addresses signs of aging and the skin’s overall health. It works internally to optimize your health while also brightening the appearance of your skin. On the face, the acupuncturist will insert 40 to 70 tiny and painless needles. Which stimulate your lymphatic and circulatory system to deliver nutrients and oxygen to your skin cells, evening out your complexion and generating a healthy glow as well as stimulate collagen production, improving elasticity and reducing fine lines and wrinkles.10 treatments is optimum to create the best results. After the 10 treatments you can come in once every month or two to maintain the healthy glow. Sonja will also use acupuncture to address your overall constitutional balance. WHAT CAN I EXPECT DURING MY INITIAL TREATMENT? Initial Treatments are approximately 60 min in length. The focus on the initial visit is to document patient history, chronic patterns and/or review of the acute injury/issue followed by a 30-40 minute session. Follow-up treatments will be approx 45-55 minutes. Acupuncture needles are a different shape then hypodermic needles (used for blood tests/vaccinations) and much smaller. Quick insertions lead to less discomfort. Often the patients do not feel the insertion or feels a small prick. Once inserted, a sensation is called “De Qi” and it can include numbness, aching, tingling, warmth, distension, heaviness, or lightness. The sensation can be local or it may radiate. Many people find acupuncture is actually very relaxing and often fall asleep. This is situational and is different case to case. The general rule is acute injuries/issues can take 1-3 sessions. Chronic patterns may take 5 – 20 sessions to resolve the underlying pattern. 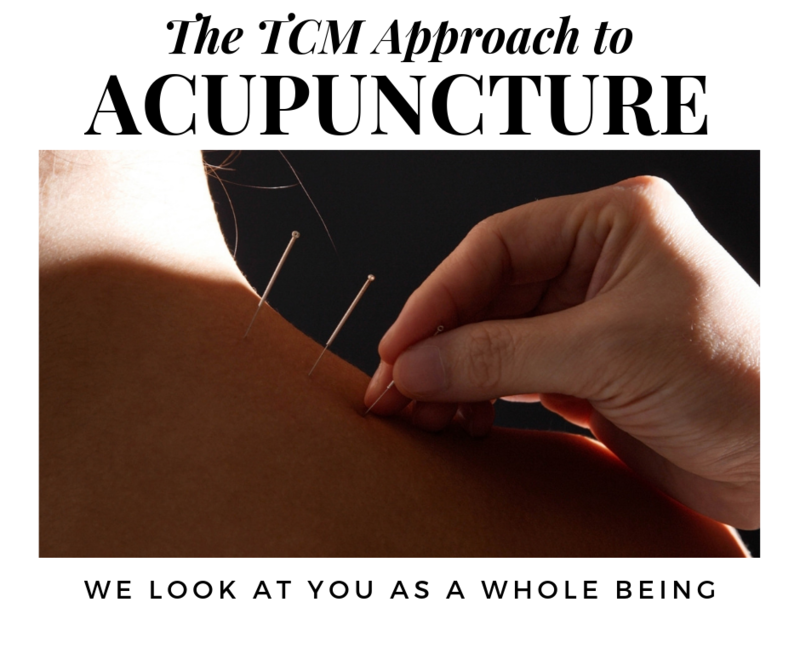 We believe in a multi-disciplinary approach to healing and encourage our patients to use complimentary avenues in conjunction with acupuncture to treat the issue when it would deem helpful. This is something that will be discussed during treatment. Acupuncture stimulates the parasympathetic and sympathetic nervous system sending feedback to the brain. The insertion of acupuncture needles along the energetic pathways removes blockages in the energetic flow or the body, restoring the smooth flow of Qi and blood within the body. As a result, the body returns to a state of balance. For Sports Acupuncture, trigger points and proprioceptors are stimulated to relax the muscles that are aggravated and shortened or activate muscles that are non-functioning. When an acupuncture needle is inserted it affects the nervous system, makes changes at a biochemical level as well as influences the fascia and extracellular matrix. Traditional Chinese Medicine should be viewed as a whole system. Acupuncture can be used for a wide variety of issues.